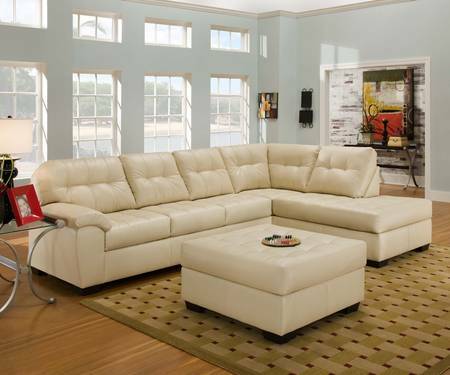 Large scale 2 piece sectional. Extra wide and deep in comfort and overall scale and seating. Semi attached backs with a shaped and padded arm. All heavily padded, yet tailored exceptionally well. 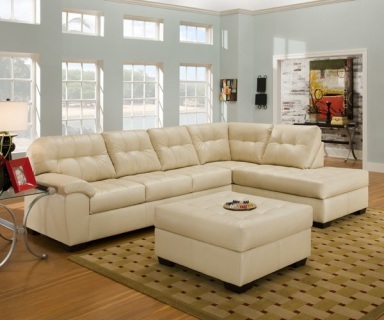 The seats and back are tufted to enhance the tailored contemporary look. Covered in a exceptional bonded leather in three colors. Oversized tufted cocktail ottoman available as well to match.